Garden volunteers help tend to the garden at the Center for Comfort Care and Healing by weeding, pruning, planting and providing other garden maintenance as needed. 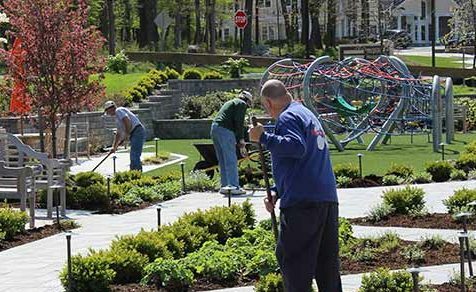 Regional Hospice Garden Clean Up 2016 Success often comes from collaboration. That is certainly the case for Regional Hospice and Home Care’s beautiful Center for Comfort Care & Healing, and it is true for our gardens too.